What: Pittsburgh Penguins @ Montreal Canadiens. 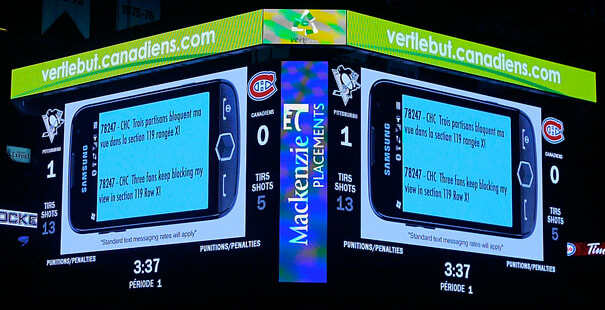 It's pretty interesting that you can now text message the security at the Bell Centre to your rescue to deal with those annoying, overzealous fans during a hockey game. I think it gets kind of awkward after the security leaves, though, don't you think?